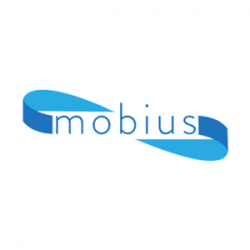 Mobius is a capital allocation office. We engage with the world using a variety of resources that we are temporary stewards of. We believe that it is through the integration of inner development and outer service that the conditions for collective thriving emerge. Our vision is a world where cultures are incubated to incline our transformation through outer and inner practices; growing us towards values of metta, wisdom, courage, compassion, and interbeing. We use an integrated capital approach to develop multiple forms of wealth. We focus on the areas where our skills and relationships are strongest – redeveloping habitable spaces, abating suffering, and inclining well-being. Prioritizing a process-orientation that allows for collective emergence and personal development. Our theory of change uses a relationship-driven approach that does not seek solicitations. We seek to deepen in our relationships as a driver of the change we seek. Investing in physical spaces in order to develop some of the most environmentally friendly spaces in their markets. Designing and operating with an eye for human development. Executing deals to generate financial capital to be utilized in serving our broader mission. Pioneering approaches to track and support well-being for tenants. Growing a movement for plant-based approaches to eating. Shedding light on the cruel and destructive practices in industrialized animal agriculture. Cultivating a funding base for the general category. Supporting tech-enabled approaches for reductions in farm animal suffering. Building awareness of the intersectional nature of this issue, impacting climate, health, economy, psychology, culture, and beyond. Supporting justice as a form of compassion. Leveraging generosity and gratitude as tools for change. Pushing power to the edges through decentralization and distribution. Creating causes and conditions for self-discovery and transformative insight.